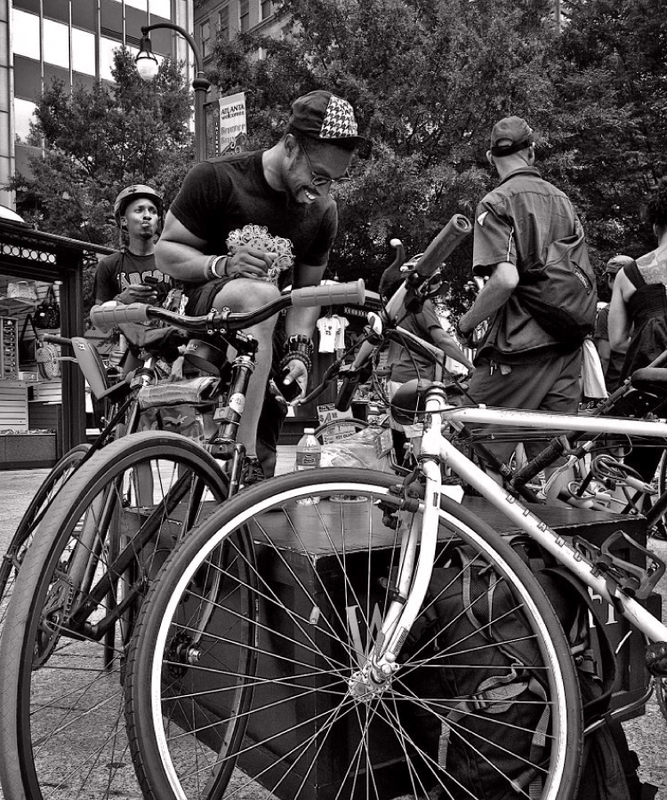 RBG STRIVES TO CULTIVATE A SPACE WHERE BLACK CYCLISTS AND WOULD BE CYCLISTS CAN GATHER AND POSITIVELY IMPACT THE COMMUNITIES WE ARE MOST FAMILIAR IN. RED Bike & Green-Atlanta (RBG-ATL) stands as a resource intentionally working to expand AND mobilize an inclusive, intergenerational ANd diverse black bike community. RBG-ATL takes ownership of transforming the physical and mental wellness, economic sustainability, And environmental wellness of its own communities. BIKERVERSARY 2018 WAS LIT AND IT WAS ALL BECAUSE OF YOU! CHECK OUT SOME OF THE PICS FROM THIS YEAR'S EVENT HERE.